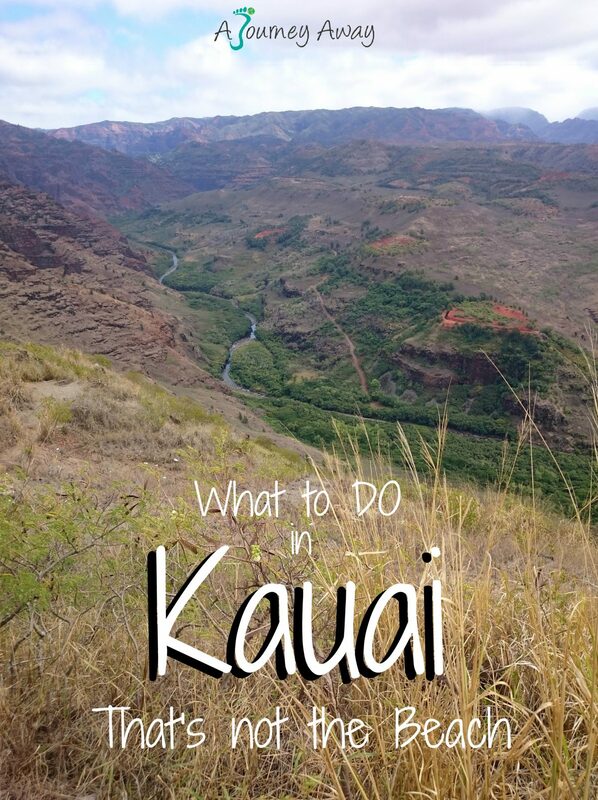 One of the best ways to make the most of Kauai beautiful landscapes is to hike some of its numerous trails. 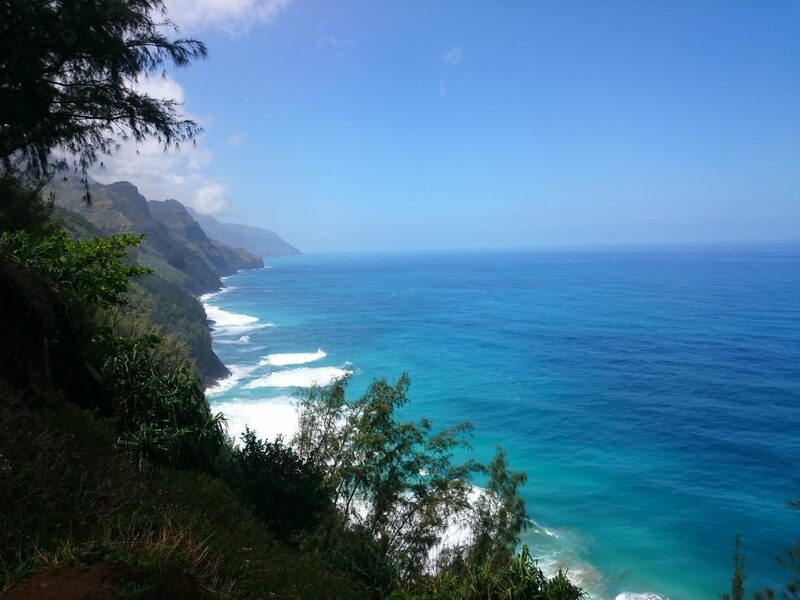 A stay in Kauai wouldn’t be complete without walking the Kalalau trail to have a look at the stunning Napali coast from land. Kauai has its own, smaller version of the Grand Canyon, Waimea Canyon. The Grand Canyon is a special place for us since that’s where we got engaged a couple of years ago, so Kauai canyon was high on our list. 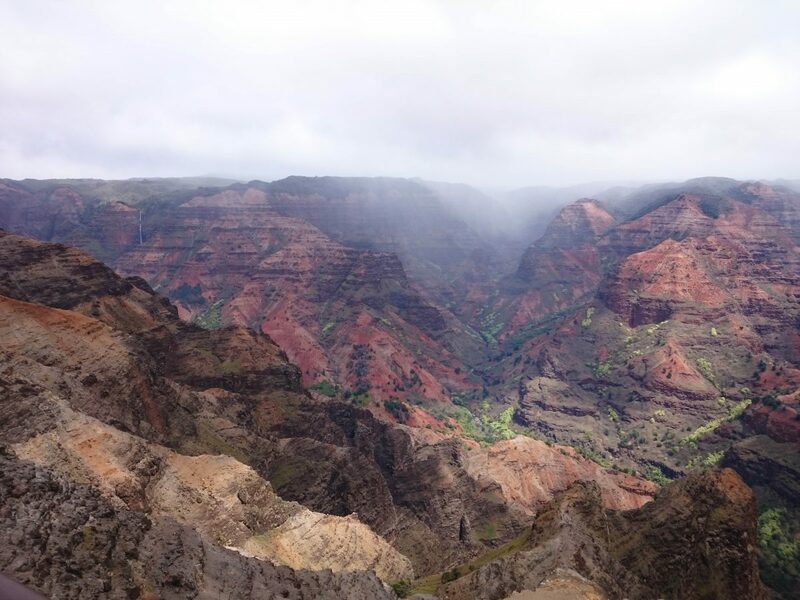 Waimea Canyon, or “The Grand Canyon of the Pacific”, is stunning and with a lot of greenery. 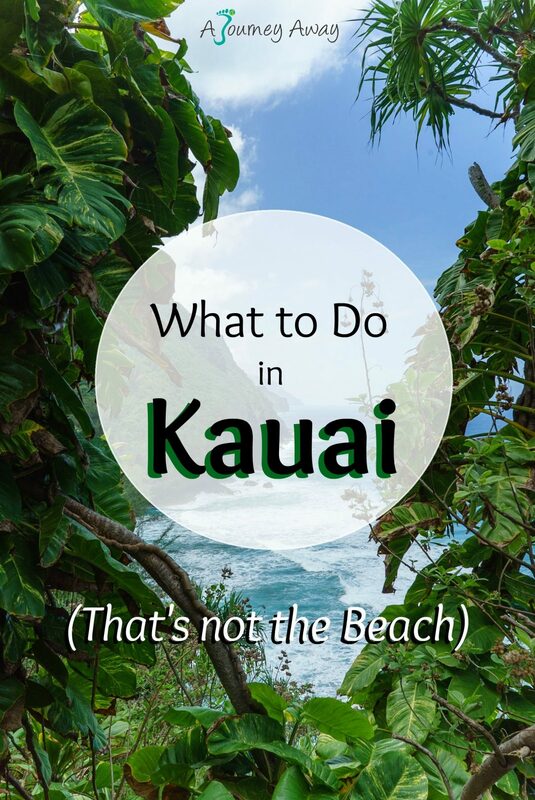 You can take a tour there, but having a car is a huge plus (Here is how we hired a car in Hawaii without breaking the bank) to make sure you don’t miss out on anything and have time to enjoy the beauty of the canyon. Although we didn’t hike any, there are also a lot of trails in the park. 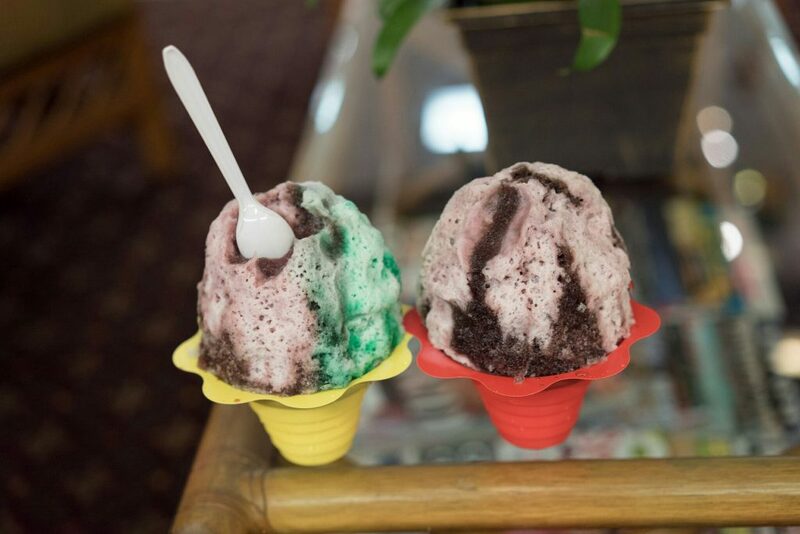 Shave ice is a Hawaiian specialty not to miss. This ice shaved very very thin is topped with syrups and sometimes condensed milk. Some places have their own things like mochi balls or sour spray. On our quest for the best one on the island, we quickly became regulars at Jojo’s Shave ice. This chain has two shops, one in the North, in Hanalei’s Ching Young Village and one in the South, in Waimea. 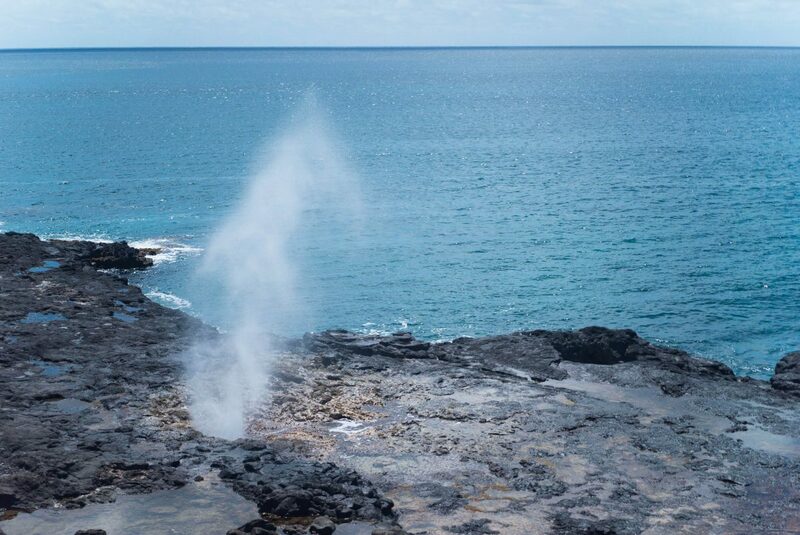 The Spouting Horn is a blowhole located on the South shore of Kauai. This natural lava tube impressively spits sea water high in the air as the waves come and go. It is best to go during high tide. The island counts several waterfalls that offer beautiful views like the popular Wailua falls. Although they are not recommended because they can be pretty dangerous, two hiking trails are available to reach the bottom of the falls. We chose to simply have a short break on the road to have a look from above. 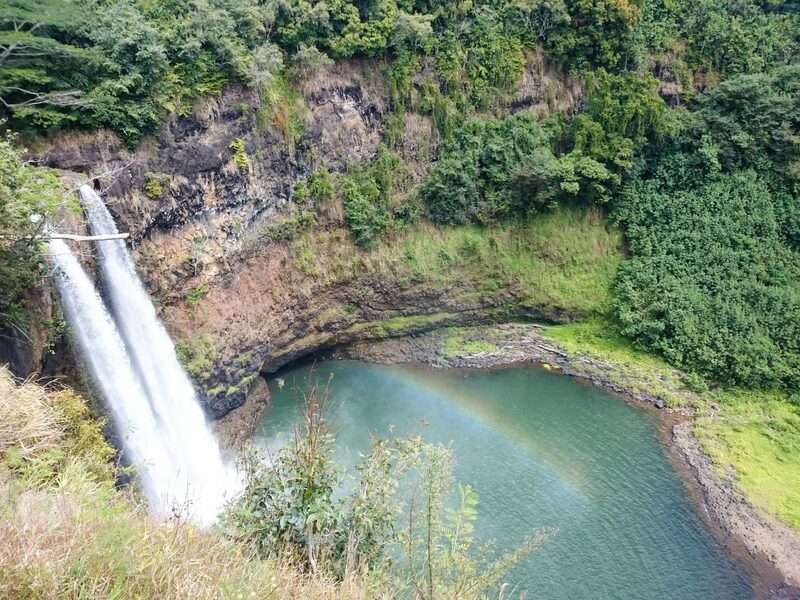 Opaeka’a falls and all the greenery around that characterizes Kauai are also worth a detour. Watching the moon rise is definitely one of the most beautiful things I have ever seen. 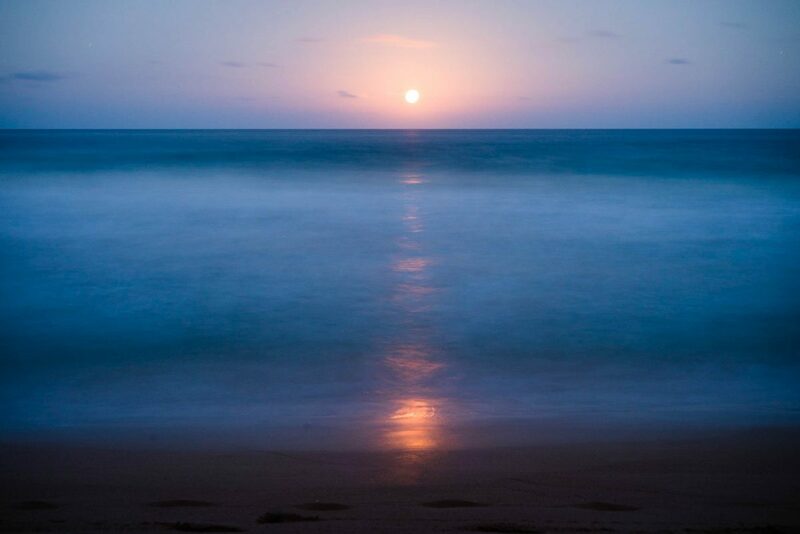 It doesn’t happen so often but we were lucky to watch the moon rise from the ocean after sunset, which was a wonderful scene. 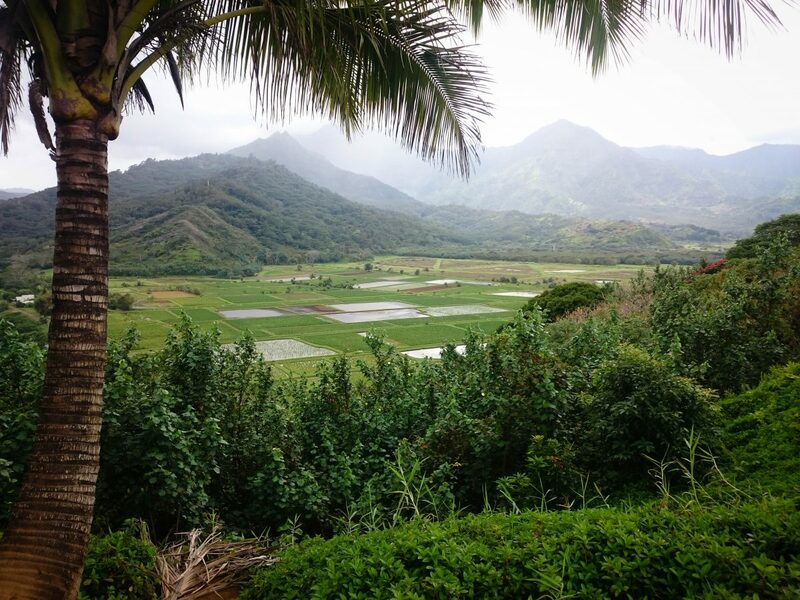 Located in the North of Kauai, on Kuhio highway, this pretty viewpoint overlooks taro fields and wetlands with mountains in the background. 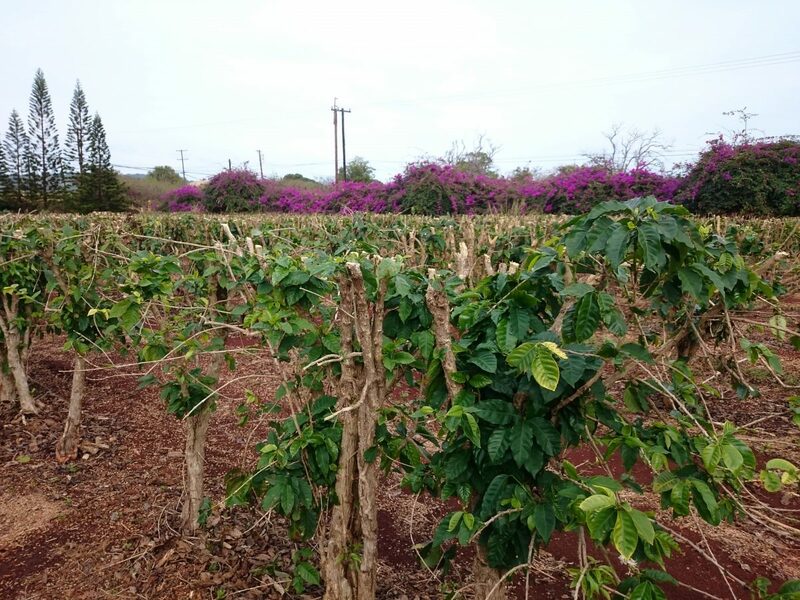 Kauai coffee company offers free tours of the plantation and a mini museum, as well as free coffee tasting. It is a great alternative to beaches and hikes on the island. This viewpoint overlooks fishponds and beautiful mountains. 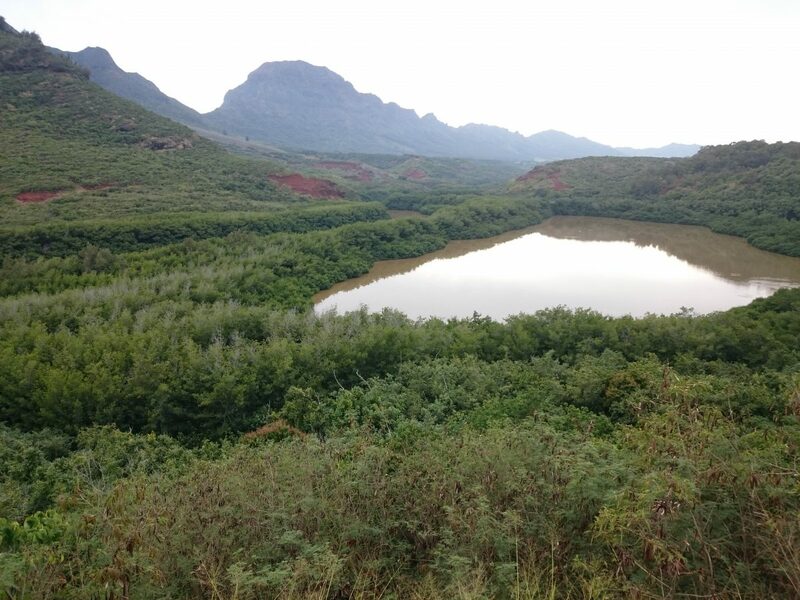 The legend says the ponds were built by Menehunes, small people who lived in Hawaii before Polynesian arrived. They fled but some are believed to be living in the forest and still be achieving things that require extra-human strength. The area is particularly quiet and the landscape is somehow mesmerizing. 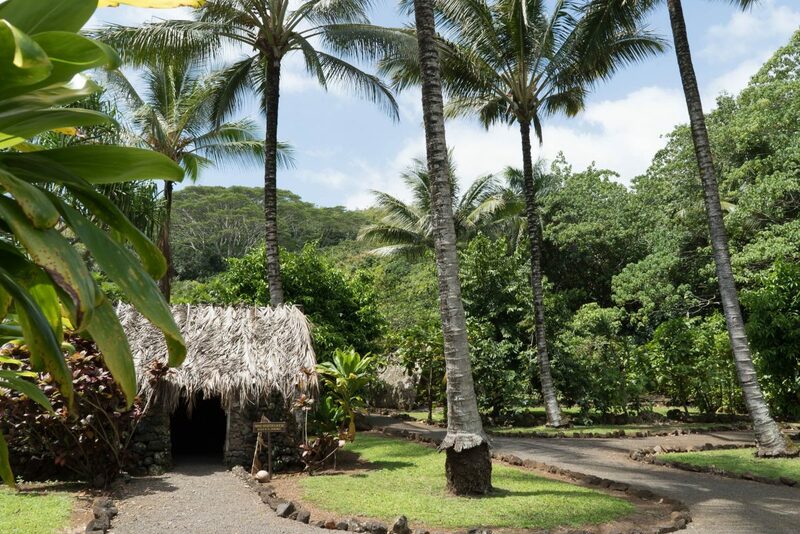 Directly across from Opaeka’a falls, Kamokila village has been recreated to understand the life of native Hawaiians. 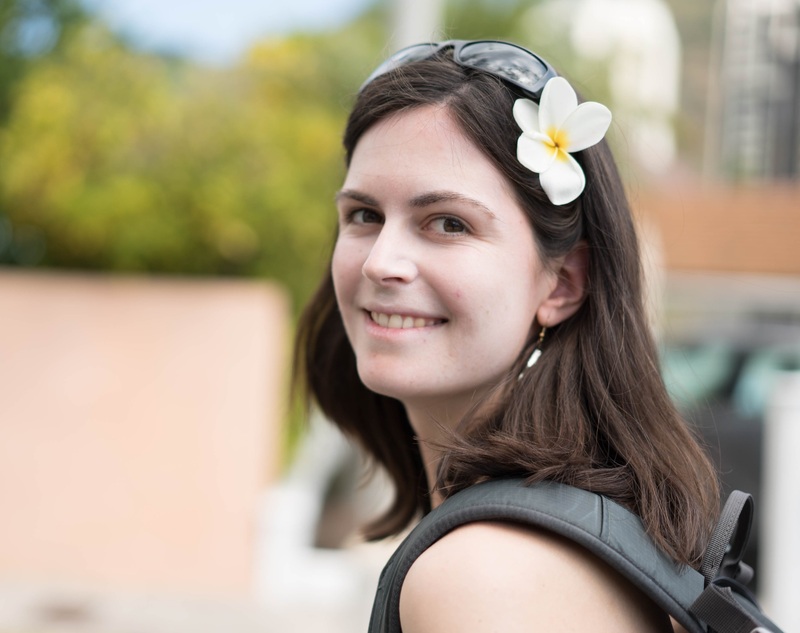 The traditional huts and flora allow to immerse completely into authentic Hawaiian culture.